This is the title of Downie’s forthcoming solo exhibition at the Scottish Gallery in the autumn of 2019. It is also the working title of this weekend workshop. The artist wishes to work with a great group of participants to delve into some exciting experimental filming, drawing and monoprinting practices and to support the participants in their own investigations into this subject. Using short looped film sequences made by the participants as a point of investigation and departure, Kate Downie RSA will lead this 2-day workshop at Off the Rails Art House with the idea of creating suites of drawings and prints that explore movement, colour and abstraction in nature. 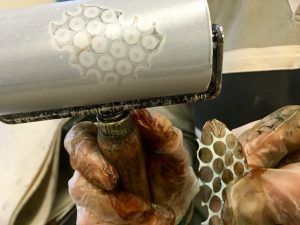 The Artist will demonstrate & teach a variety of Monoprinting techniques, both with and without an etching press, appropriate to this workshop. Participants will be provided with a full list of suggested materials to bring and details of film preparation to create one month prior to the workshop. Note- There is no special equipment or materials needed, and specific printmaking paper will be available to purchase at the workshop. On the Saturday evening there will also be a power point talk (with everyone contributing a bit of food and/or wine!). 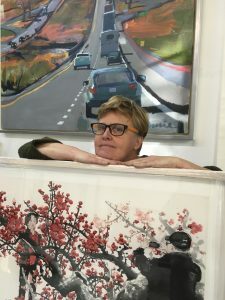 Click here to visit Kate Downie’s website.